What would Batman be without Robin? Can you even imagine Captain Kirk without Spock? Han can’t pilot the Millennium Falcon without Chewie. How would Mario beat Bowser without Luigi? Buzz Lightyear is not so cool without Woody. 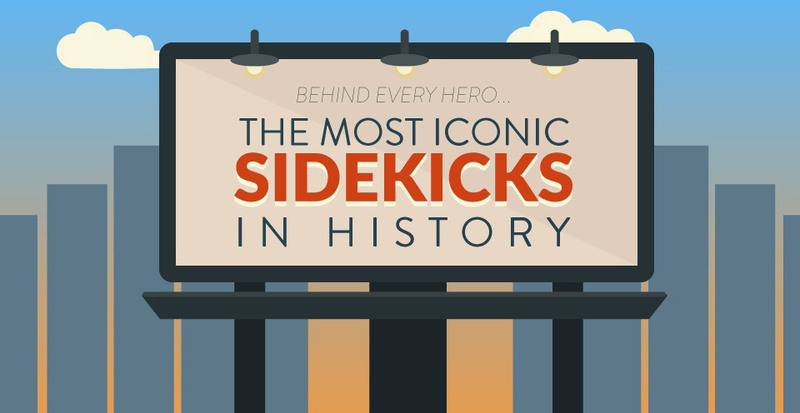 This fun infographic from MorphCostumes celebrates some of the many sidekicks throughout history. These are some of the greatest partnerships from books, TV, comics, video games, and films. The chart is by no means complete, but it is a fun look at the partnerships that we all love. The hero usually gets all of the credit, but he could not have done it without his trusty sidekick.